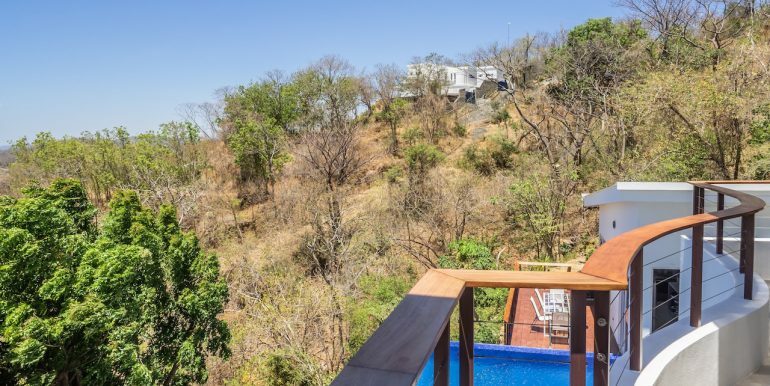 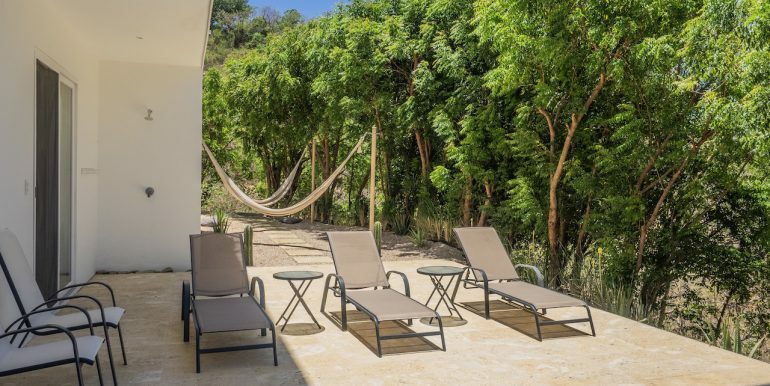 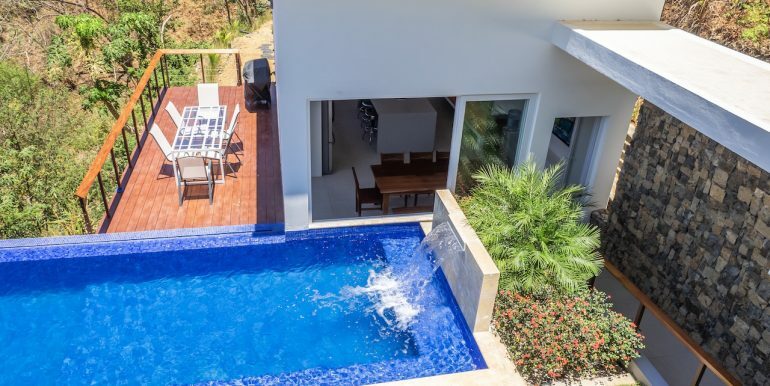 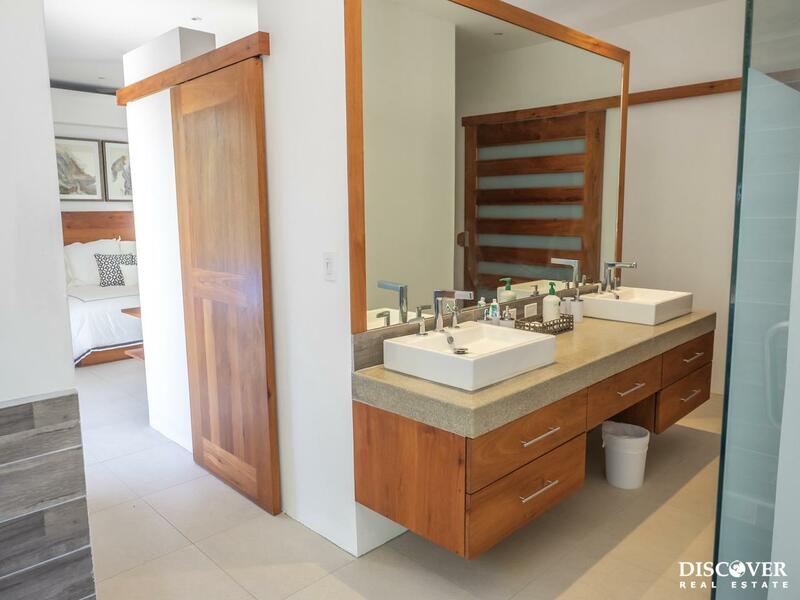 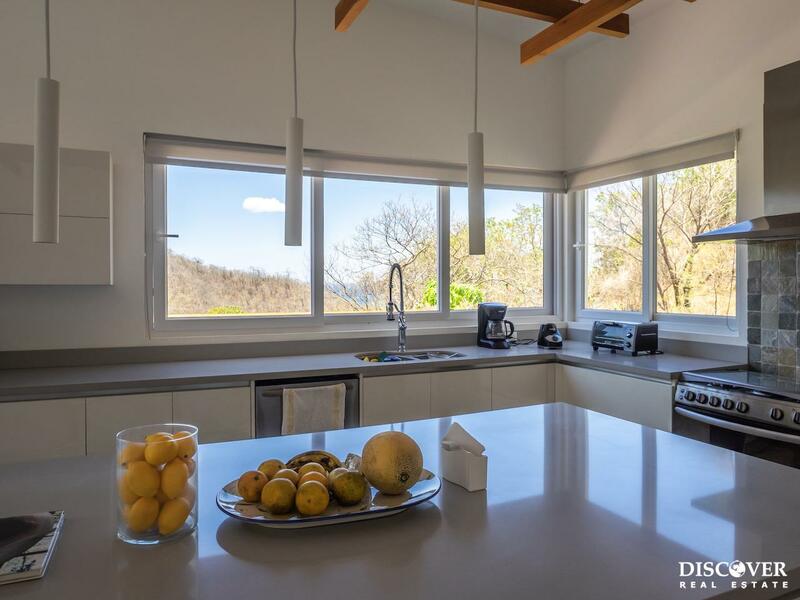 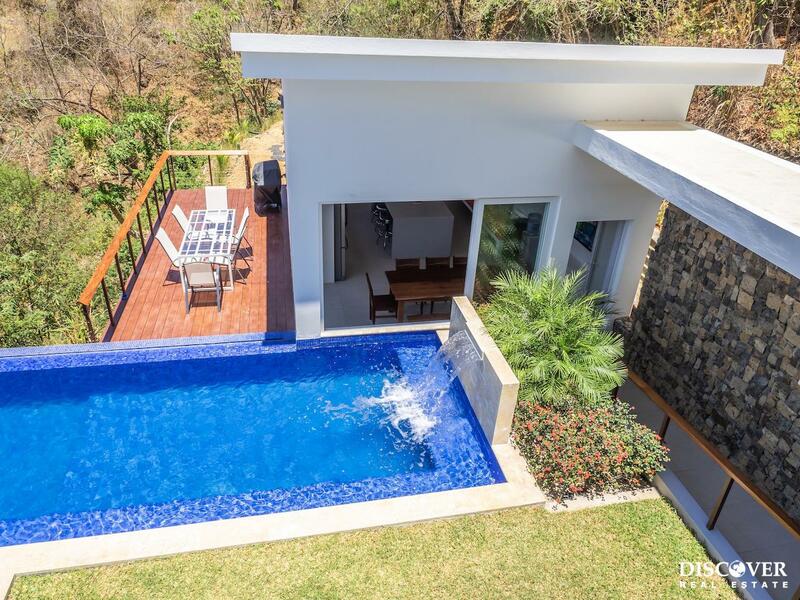 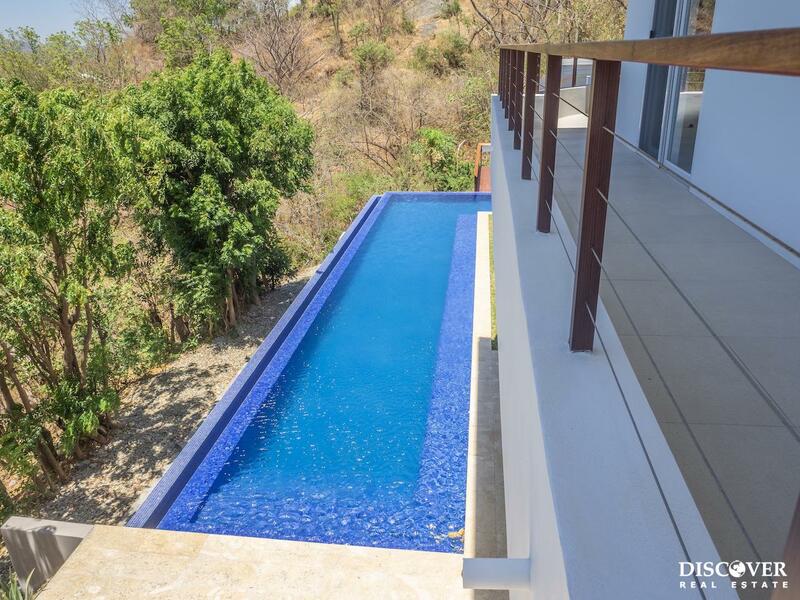 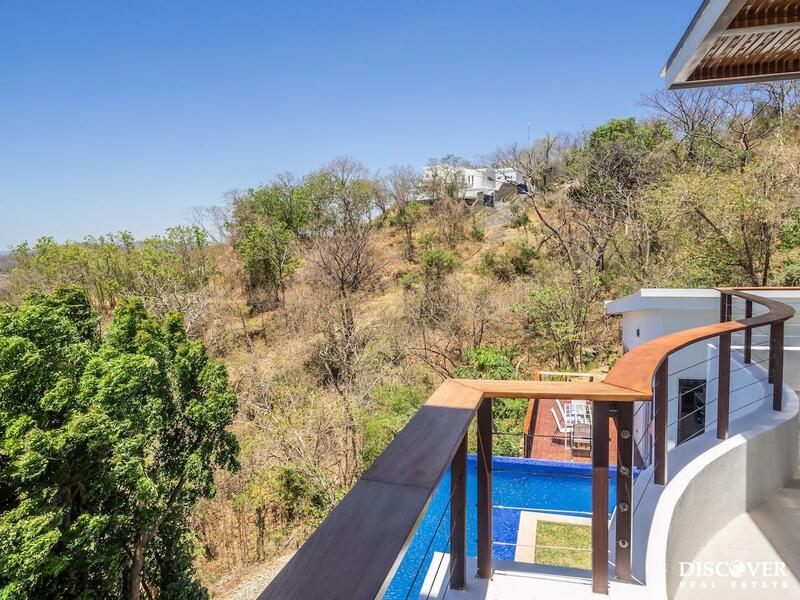 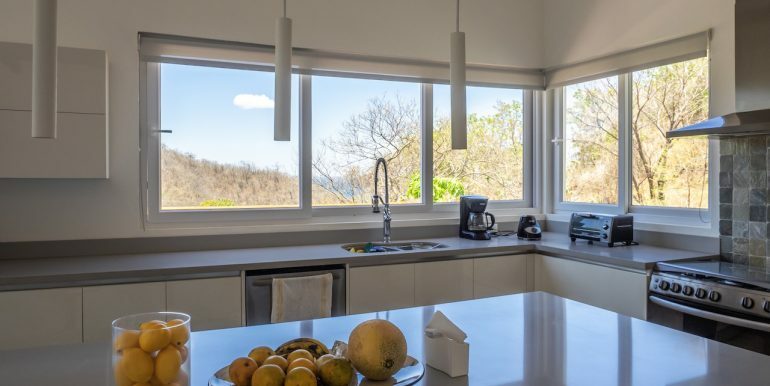 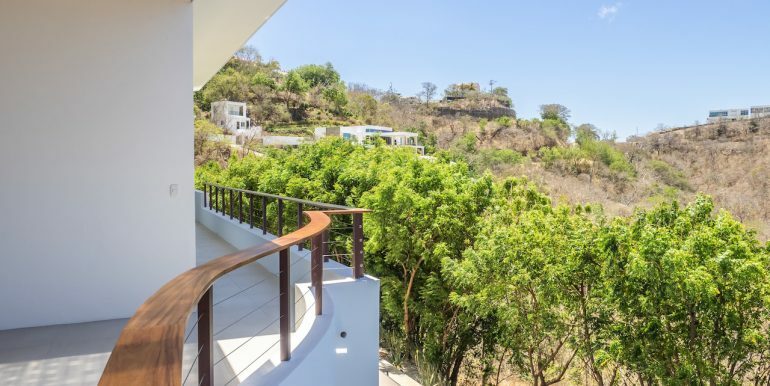 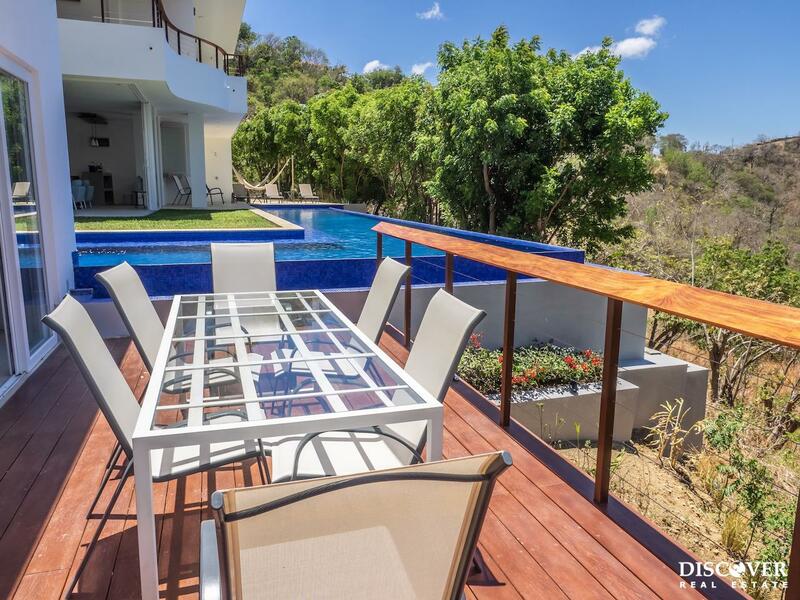 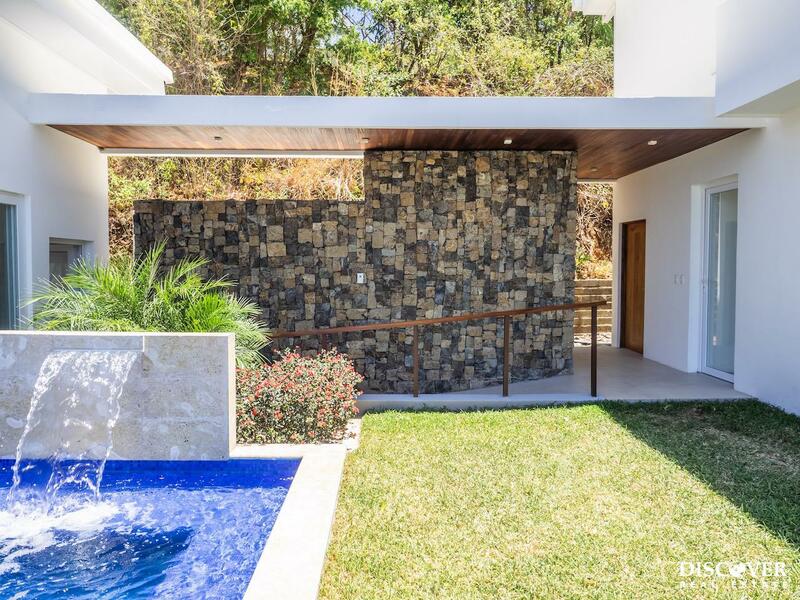 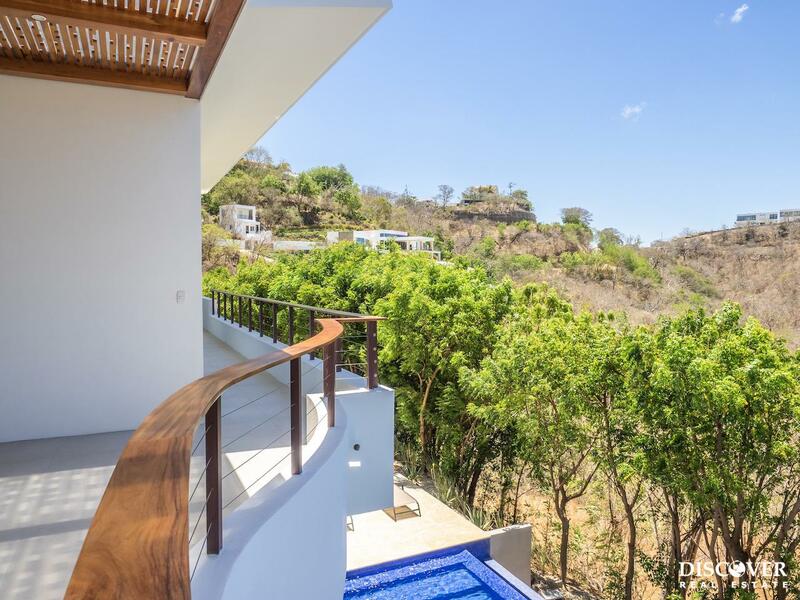 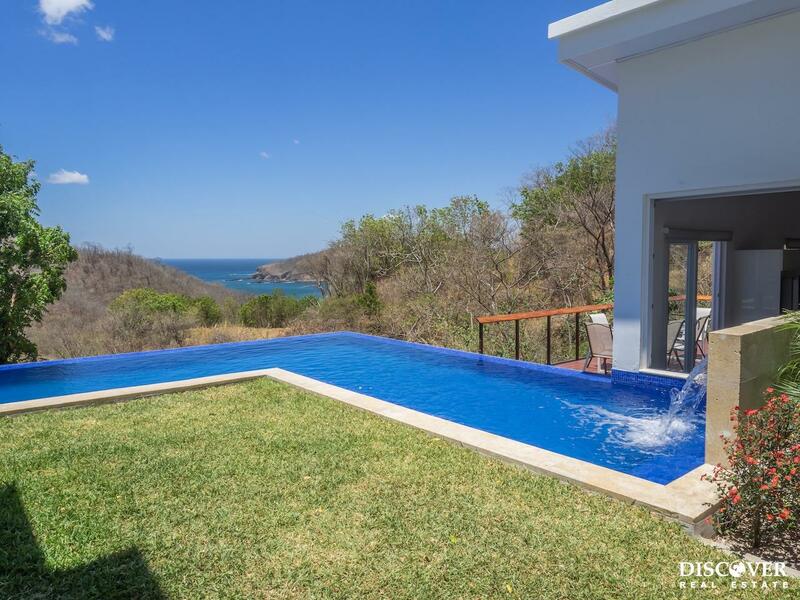 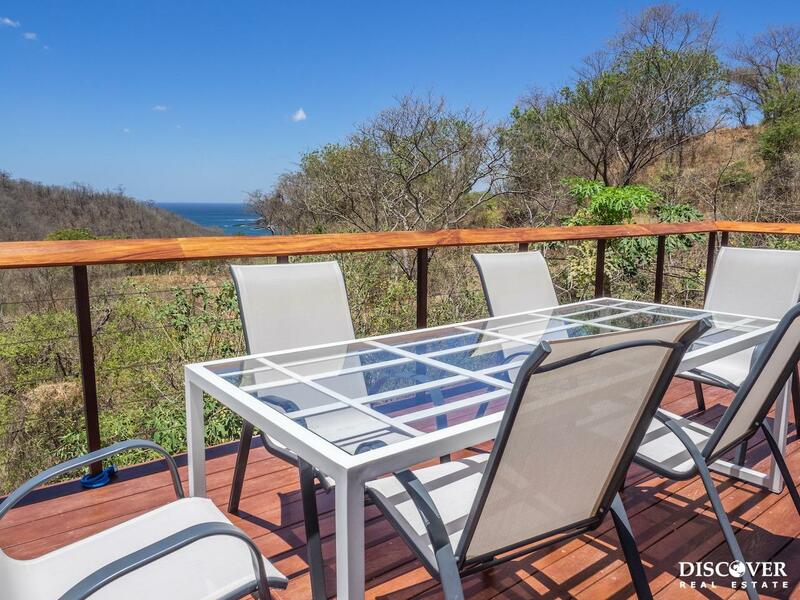 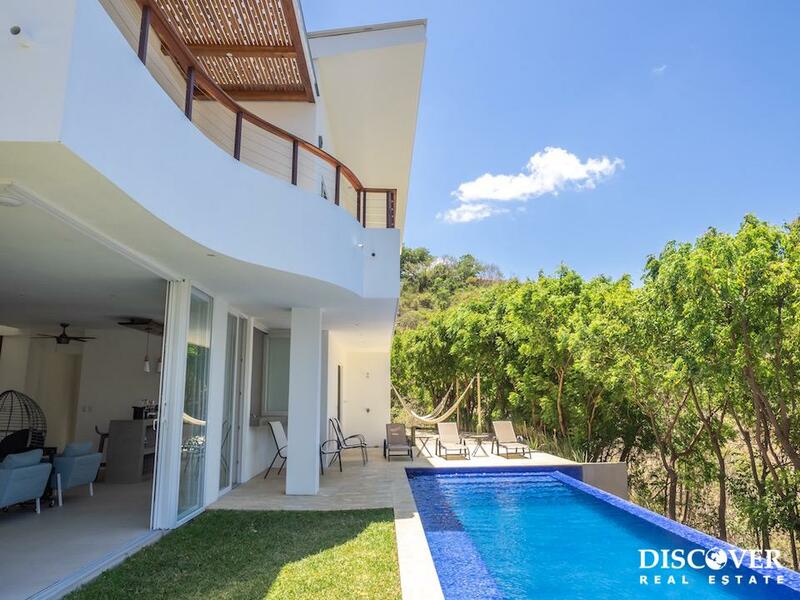 Villa Mare is a beautiful 5 bedroom house for sale in the Pacific Marlin development, in San Juan del Sur. 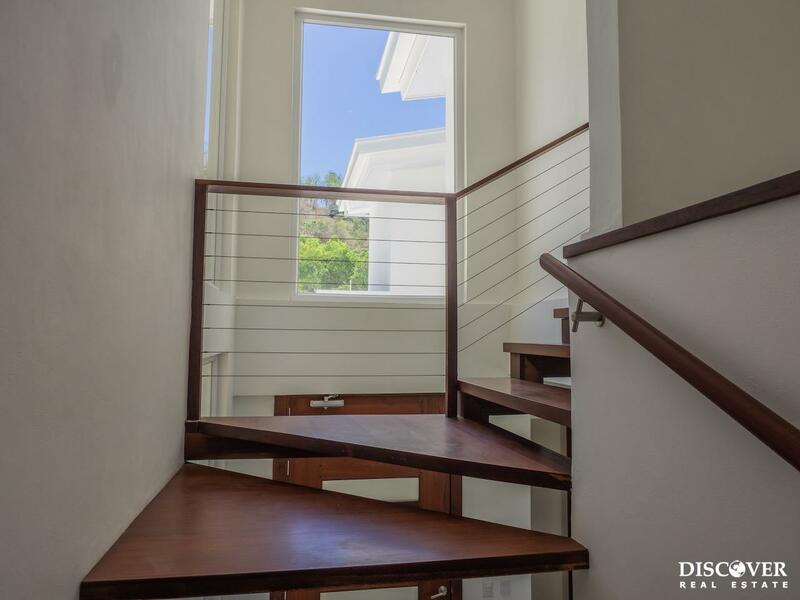 The first floor is wheelchair accessible. 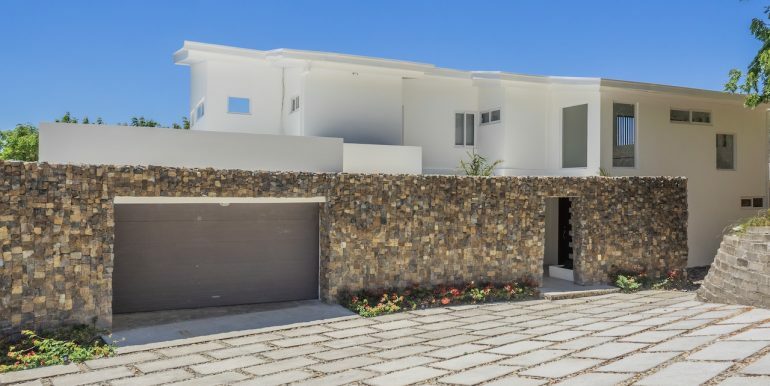 Built in 2018, the entire house 620 m² has an elegant modern feel. 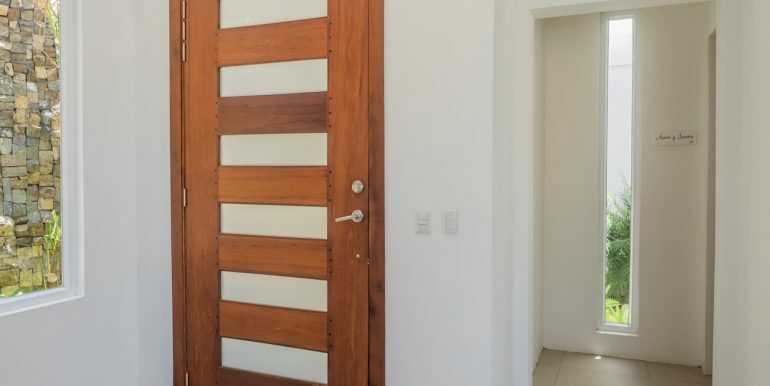 Enter the house via an extra wide door. 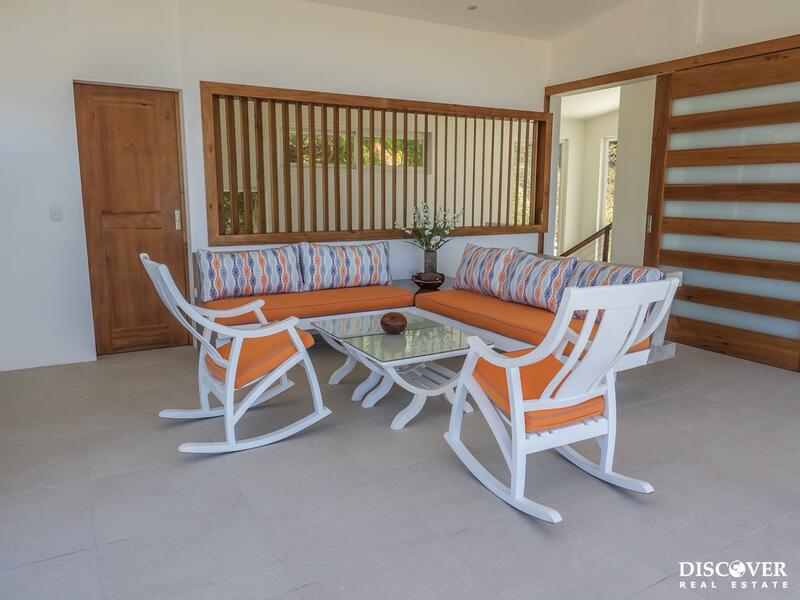 Here you will find a spacious living area with seating, a bar, and floor to ceiling sliding glass doors. 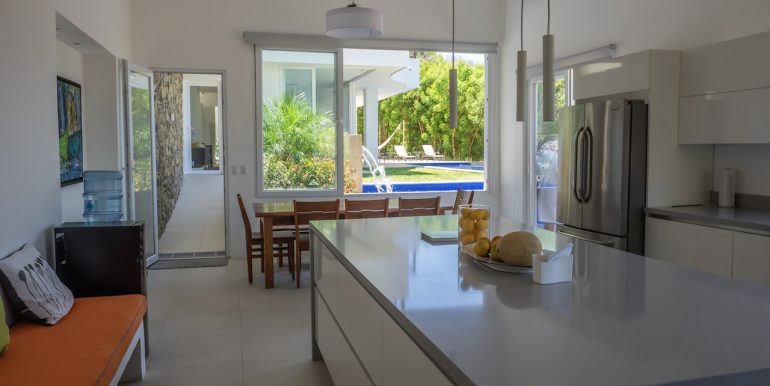 The doors slide all the way open, creating an open air living space that looks out across the yard, pool, and beyond to the ocean. 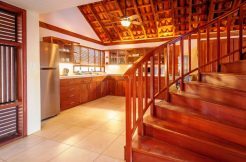 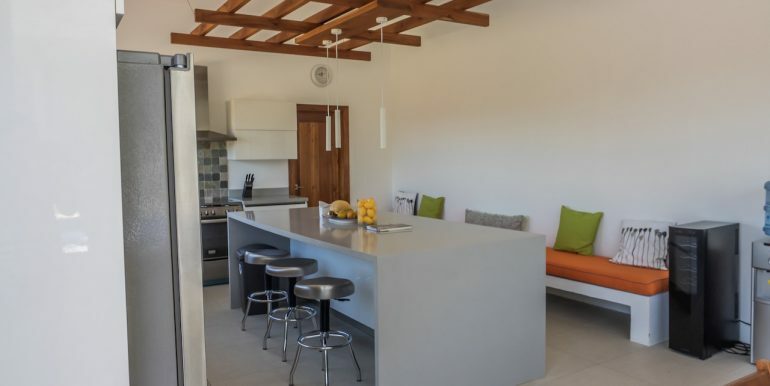 Built with the old Nicaraguan farm houses in mind, the kitchen and dining area is completely detached from the main house. 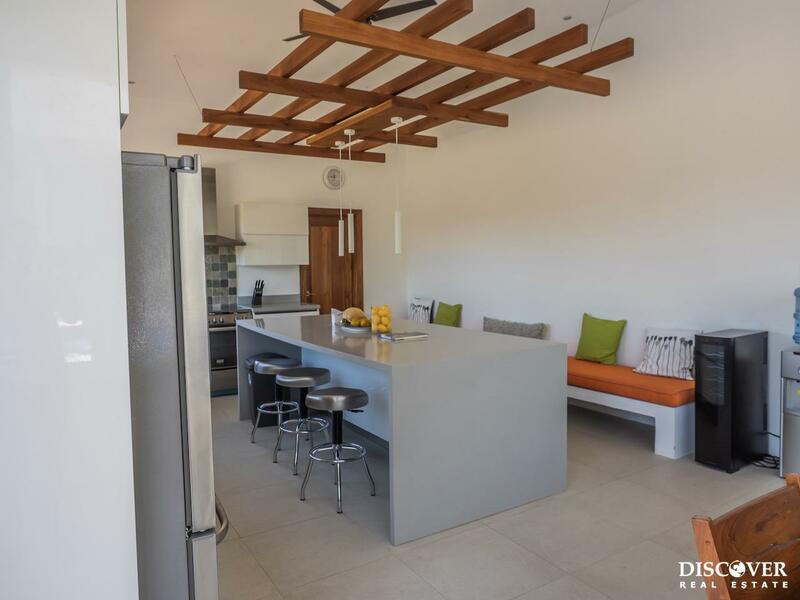 Accessible via a covered ramp, the spacious kitchen is equipped with modern, stainless appliances. 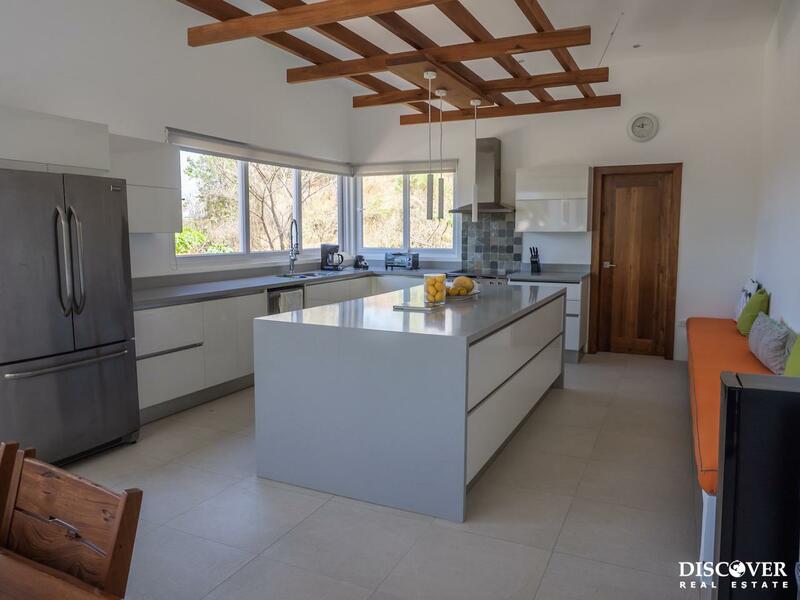 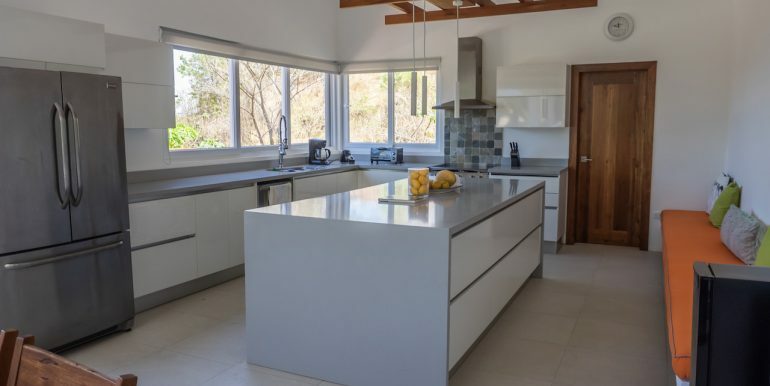 A large island counter, and an abundance of seating makes this the perfect place to host cooking classes or events. 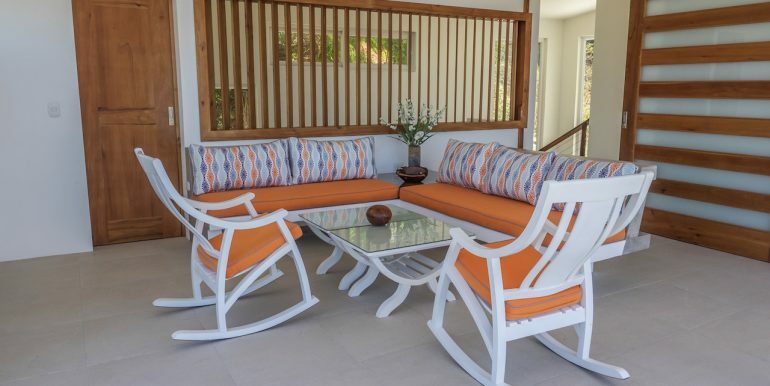 The dining table seats 8, and the wrap around bench seats another 8. 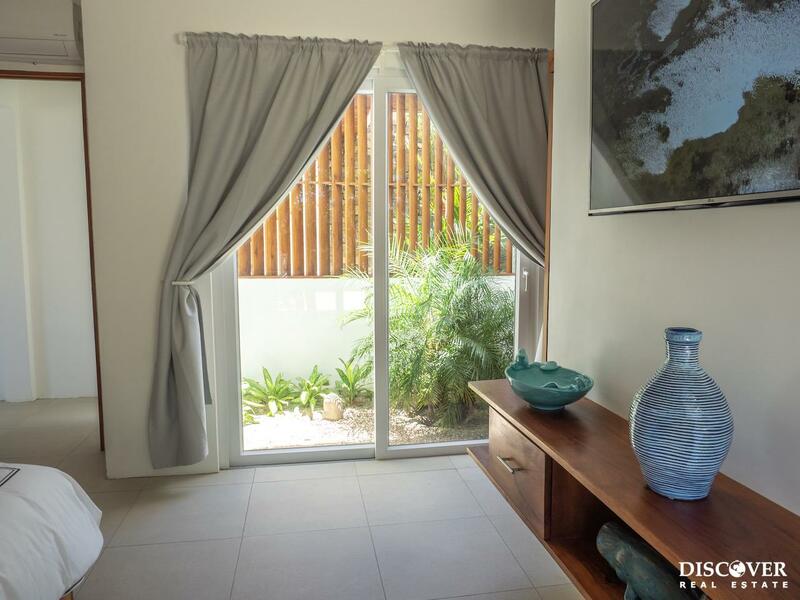 A side door leads out to a small balcony with an outdoor dining area. 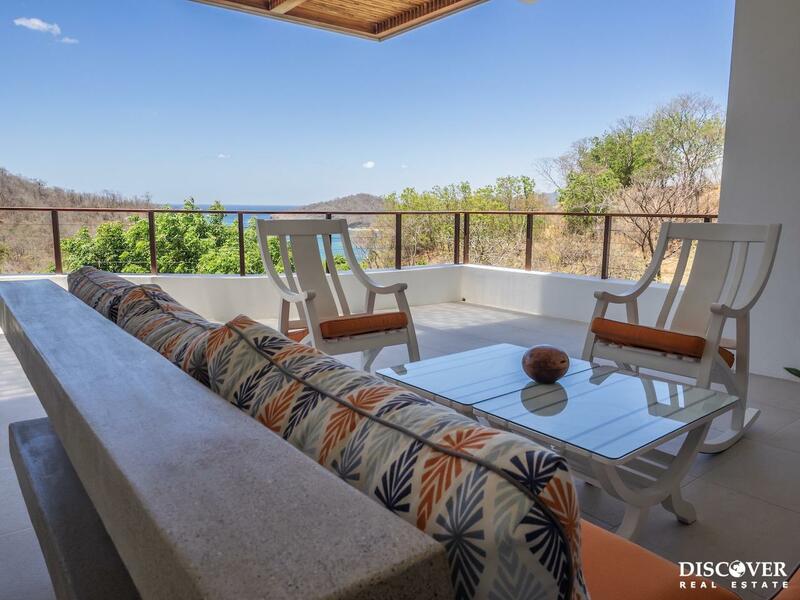 This is a wonderful spot to enjoy your morning coffee and breakfast. 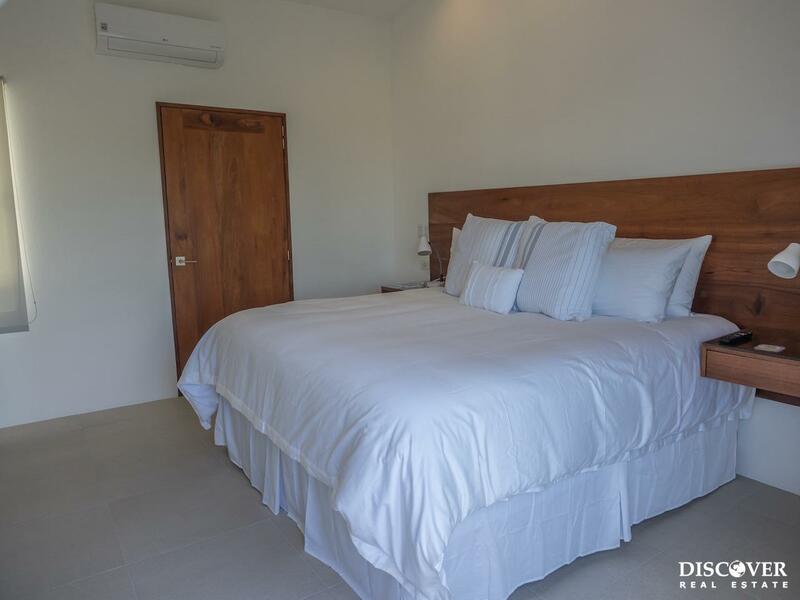 The master bedroom is located on the first floor. 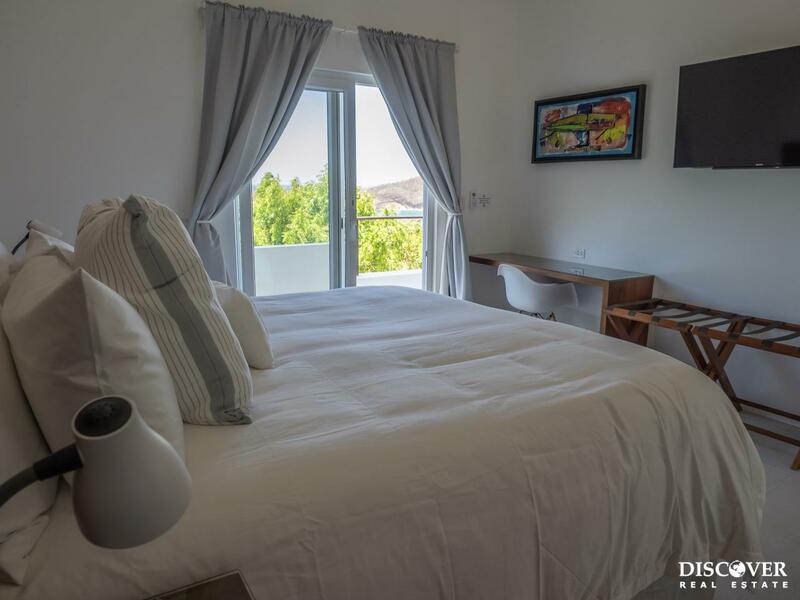 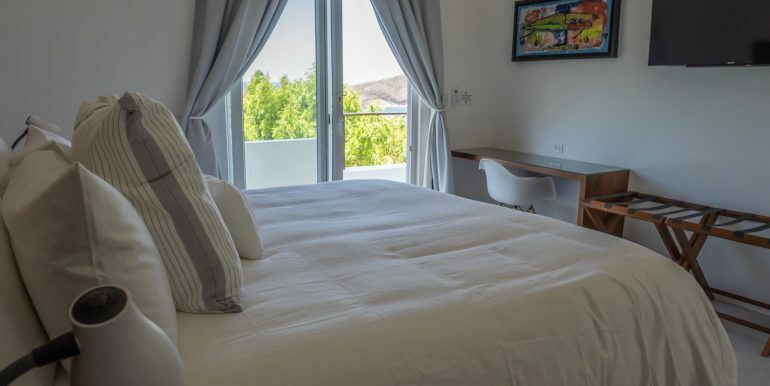 The grand, open plan room has a king size bed, cable TV, and access to a private garden, as well as the outdoor hammock area. 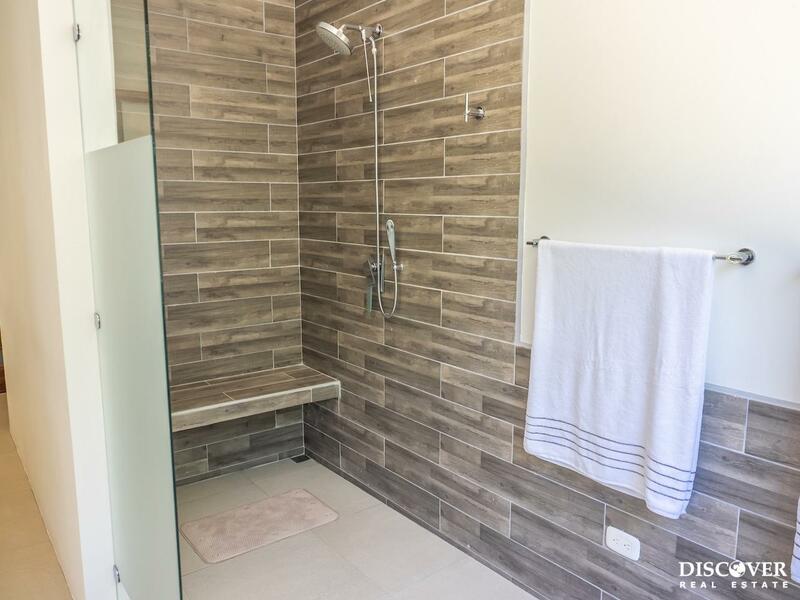 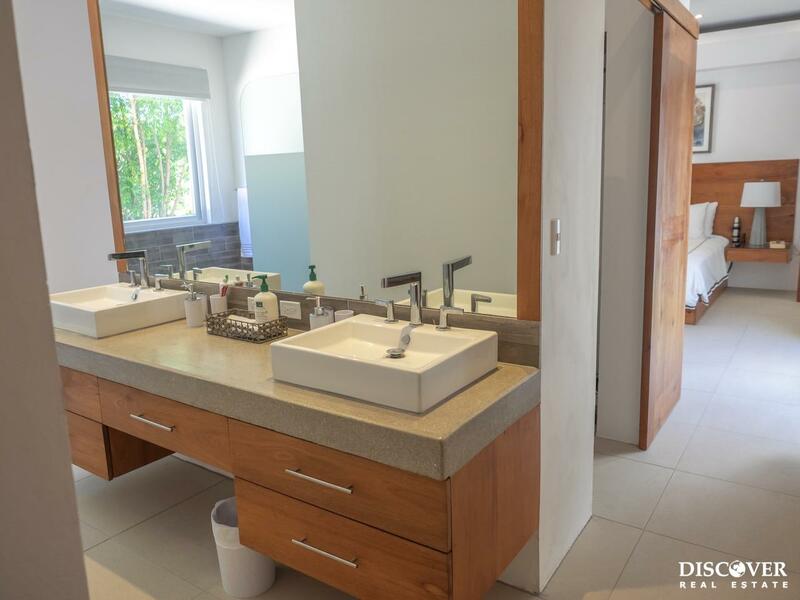 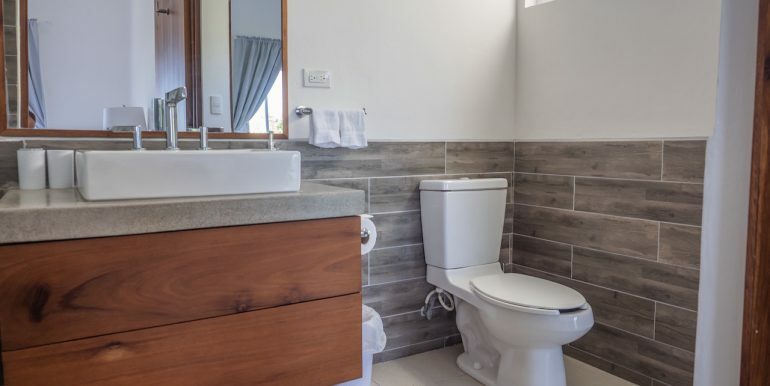 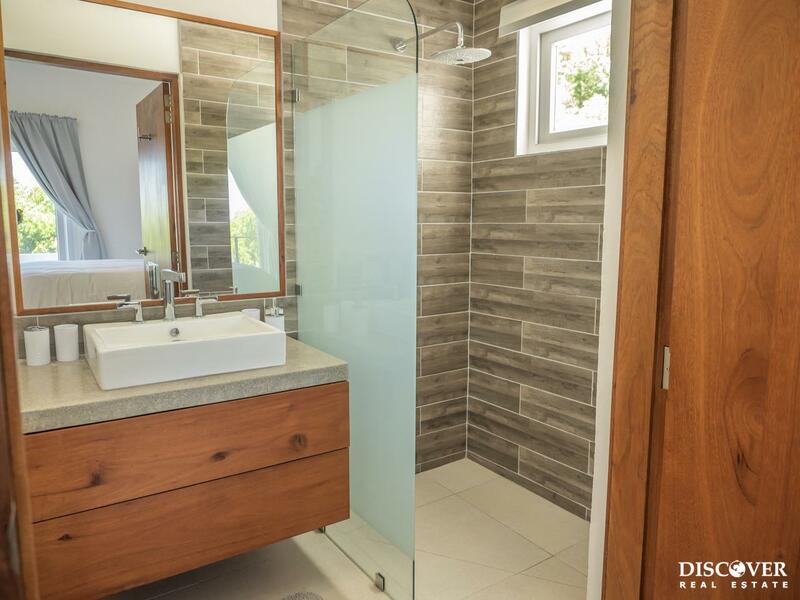 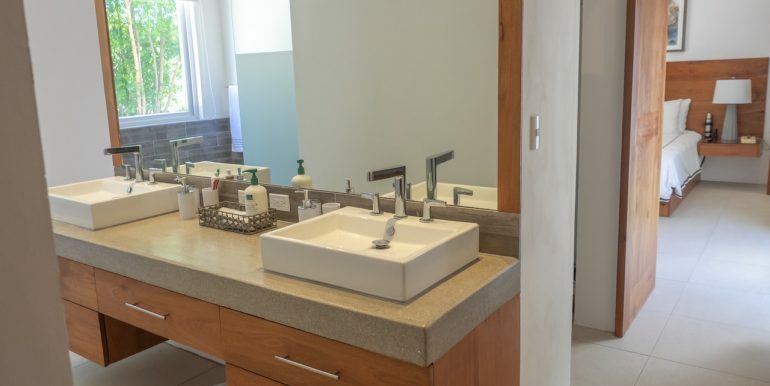 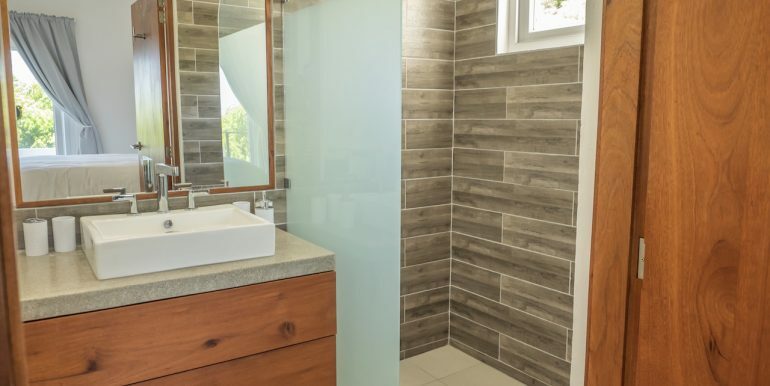 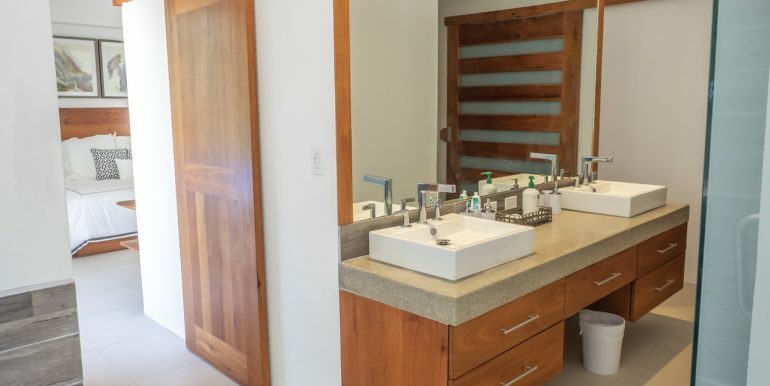 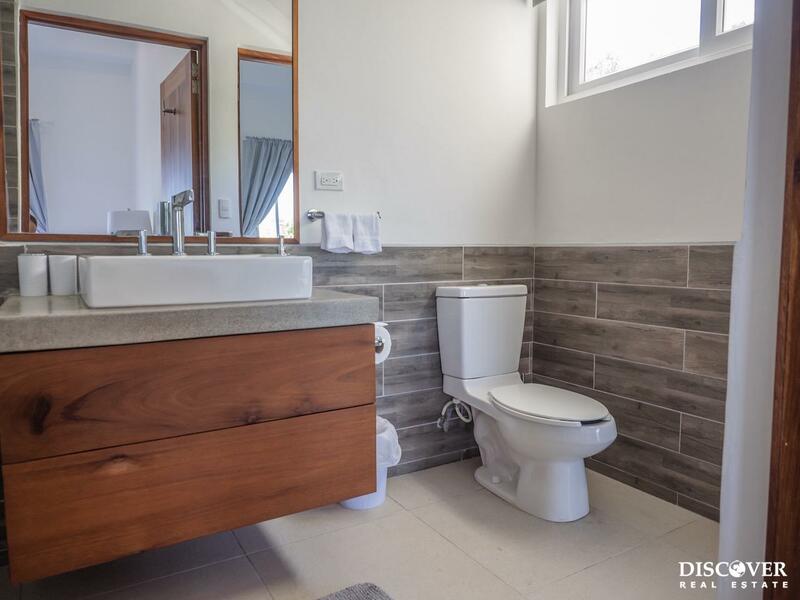 Keeping with the accessible layout, the bathroom has a double sink, and extra large shower with a seat and handrails throughout. 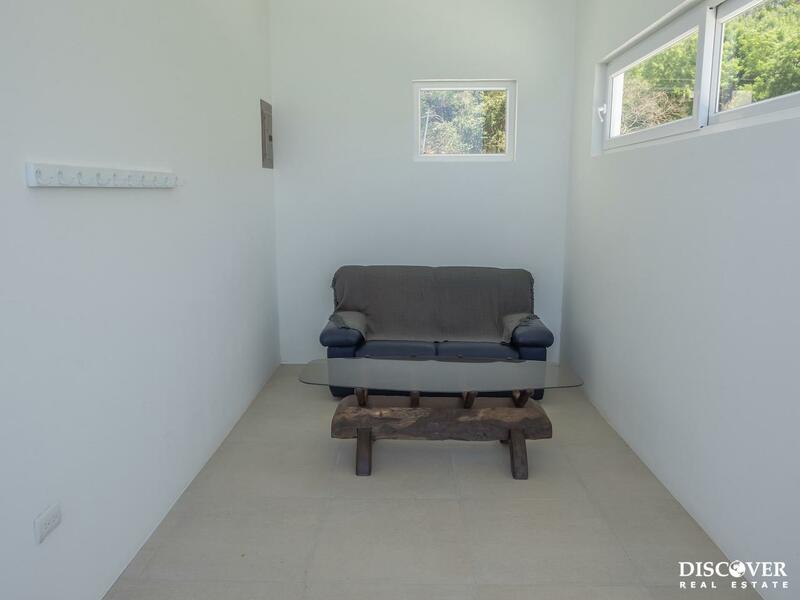 It is separated from the bed area by a walk-in closet. 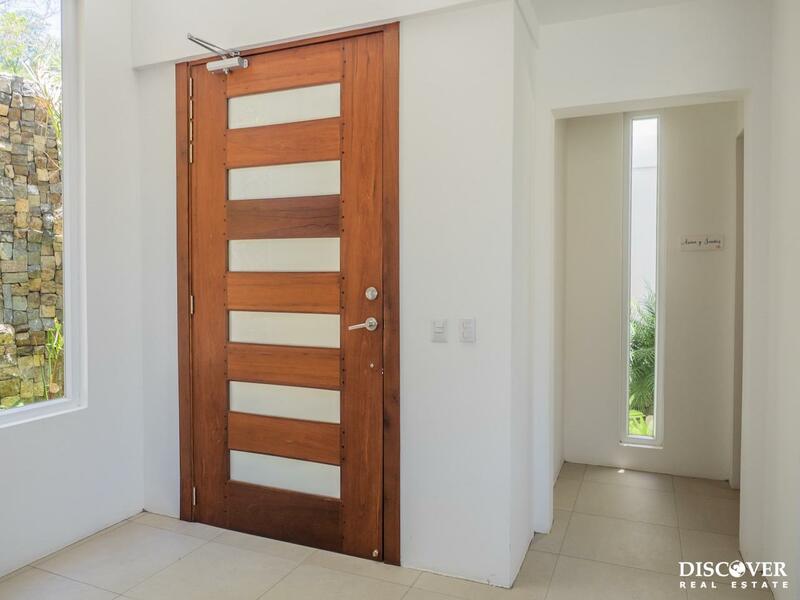 An additional closet provides extra storage space, and a place to lock away valuables/personal items if you decide to rent the house. 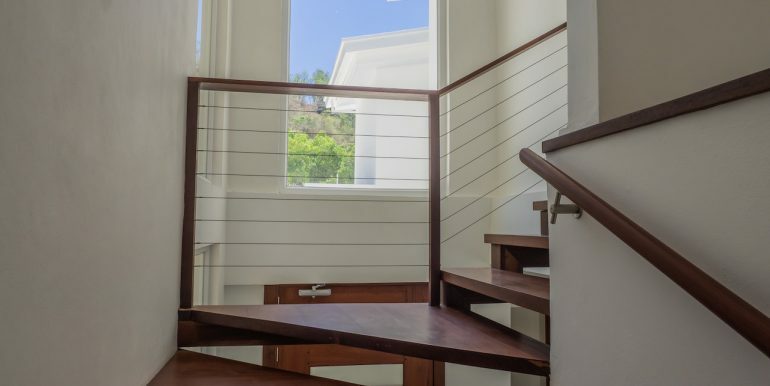 A precious hard wood staircase leads to the second floor. 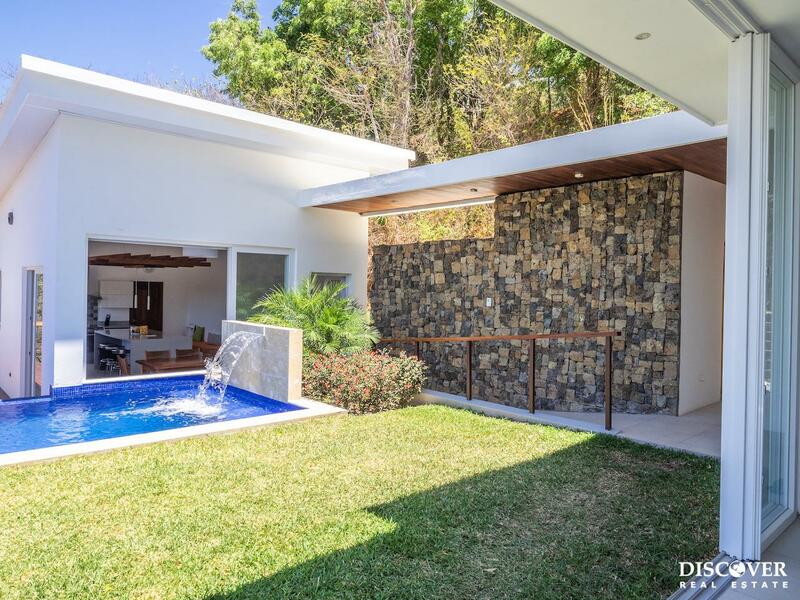 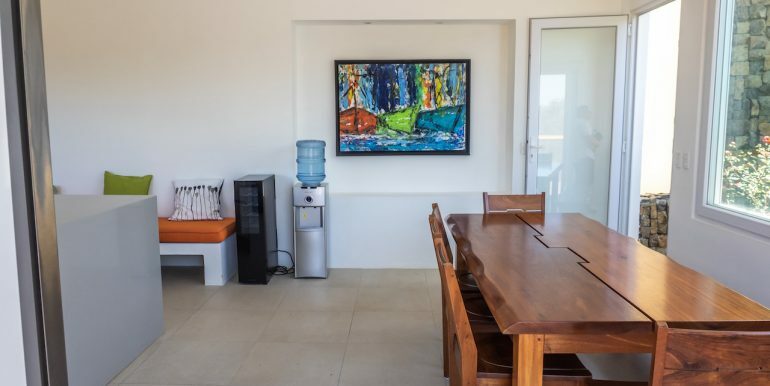 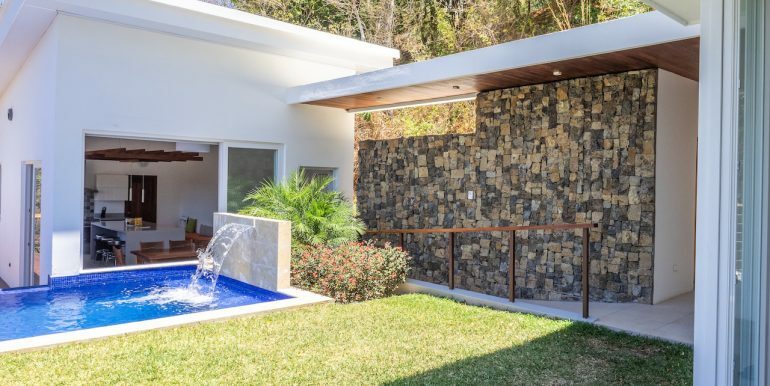 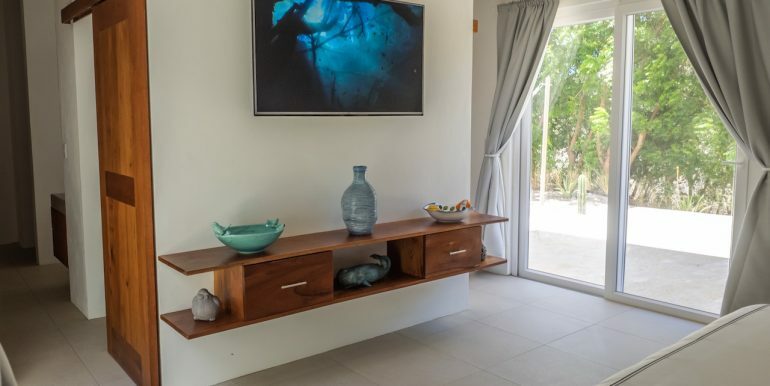 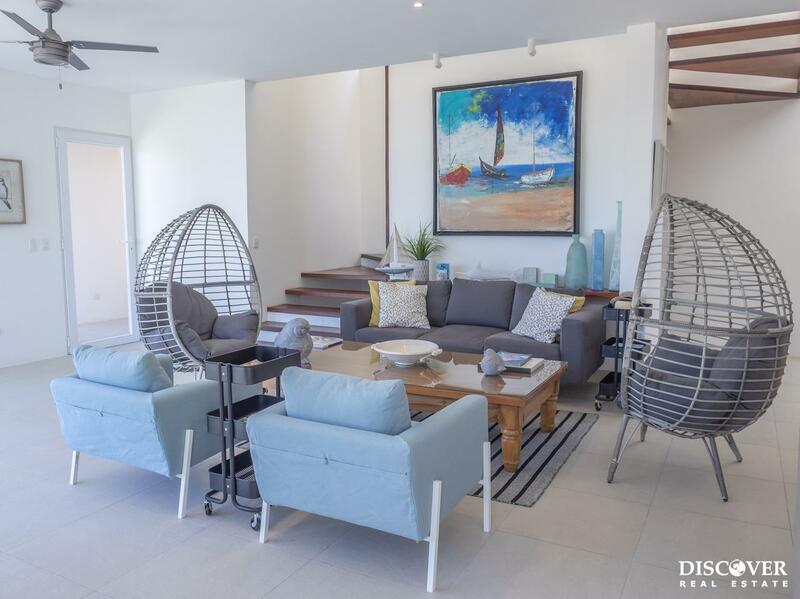 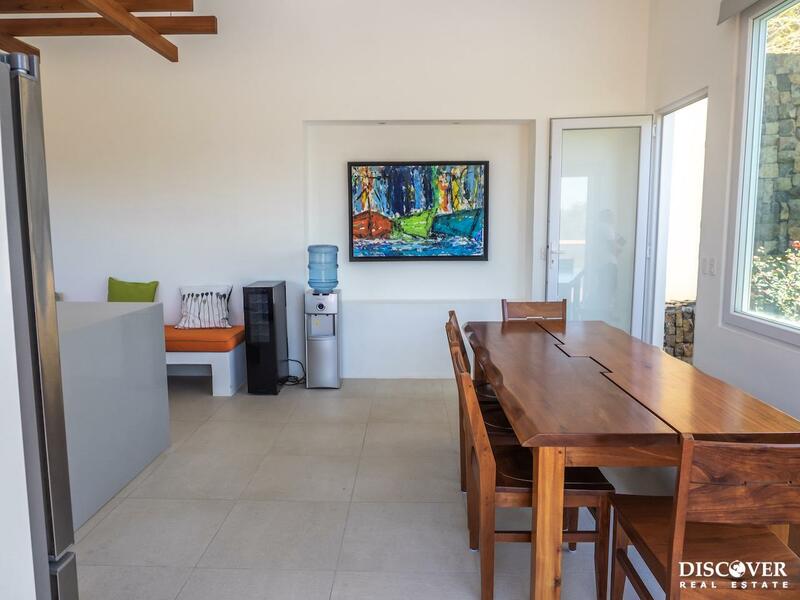 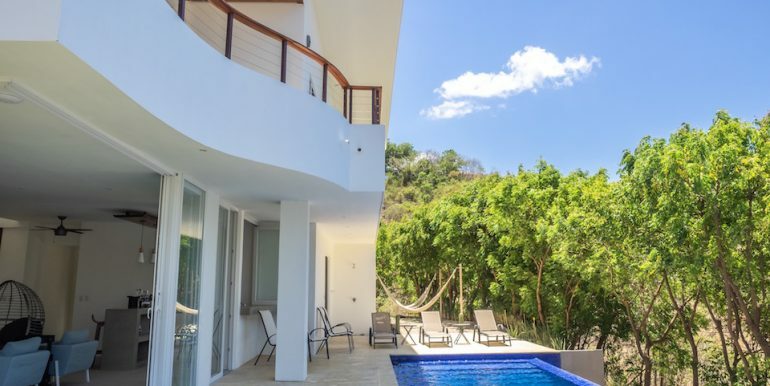 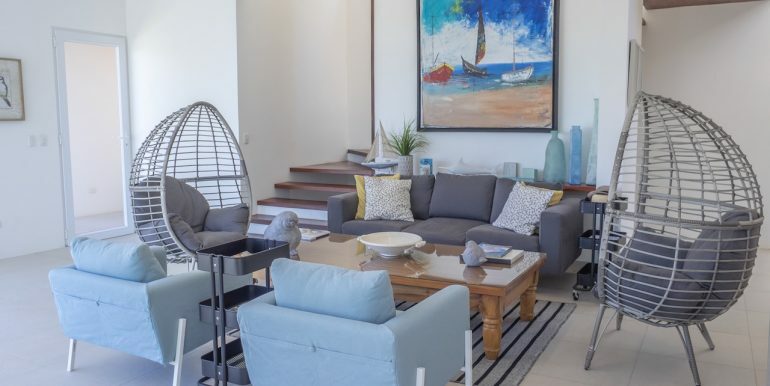 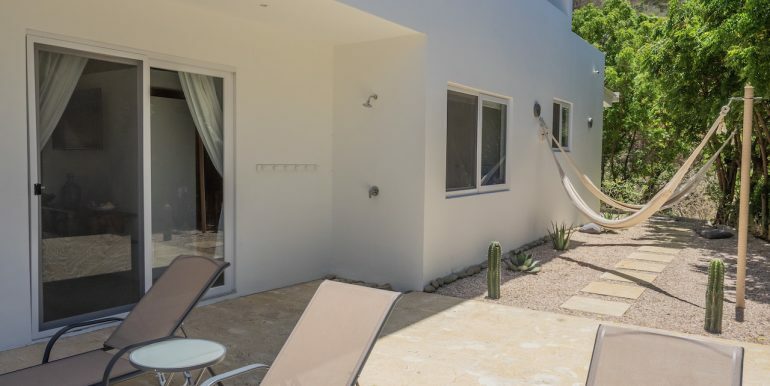 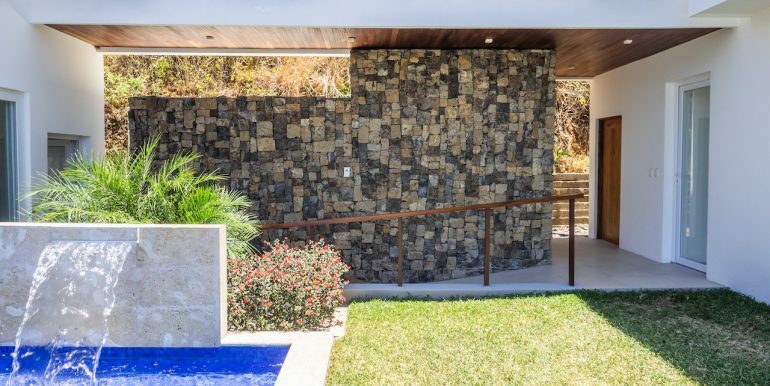 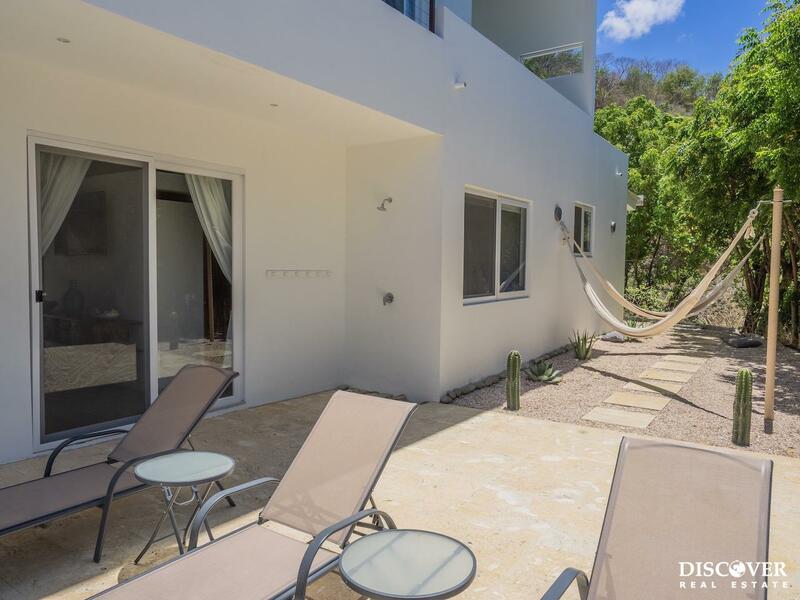 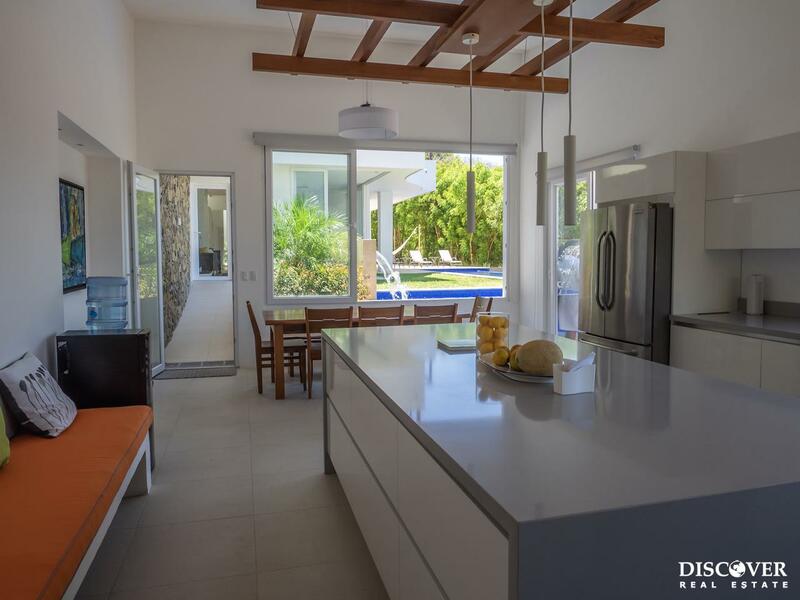 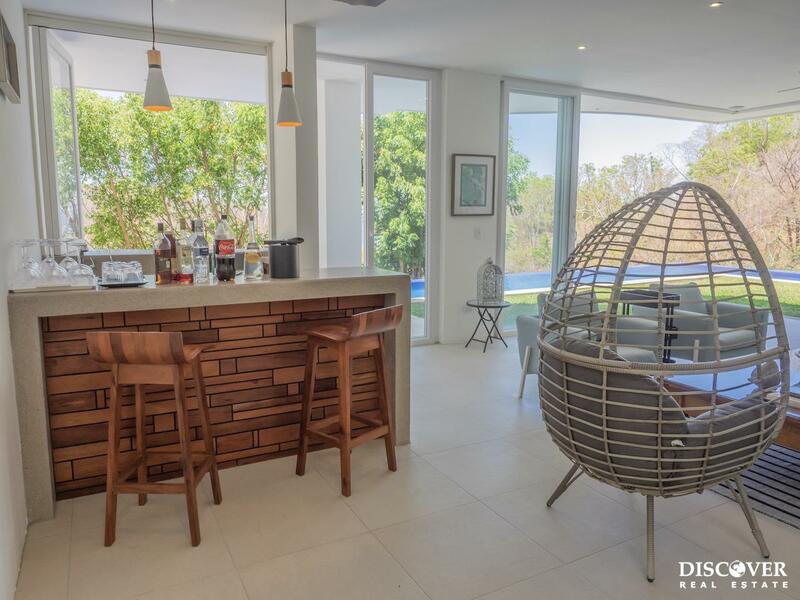 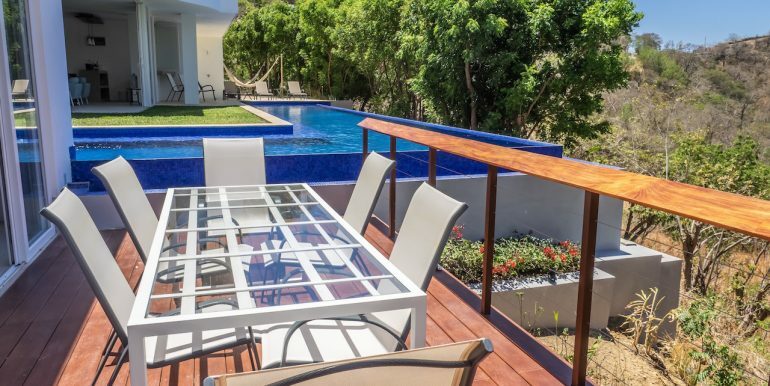 Here you will find a covered open air living room, perfect for entertaining family and friends, enjoying drinks, and playing games, all while taking in the fabulous view of the Pacific Ocean and the iconic “Crist del Redentor”. 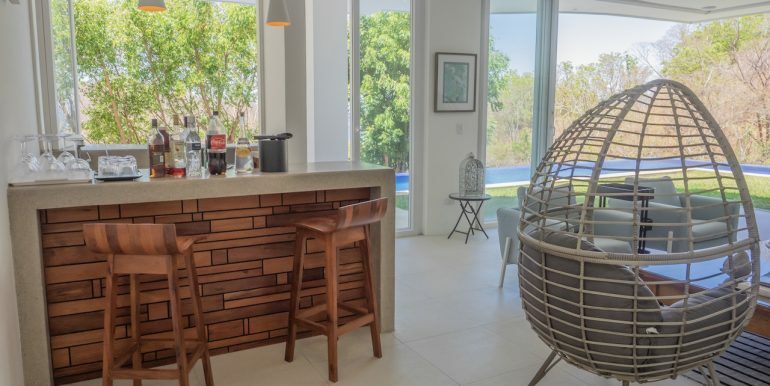 A small kitchenette is located next to the living room with a sink, glassware, a coffee maker, and space to put a bar fridge. 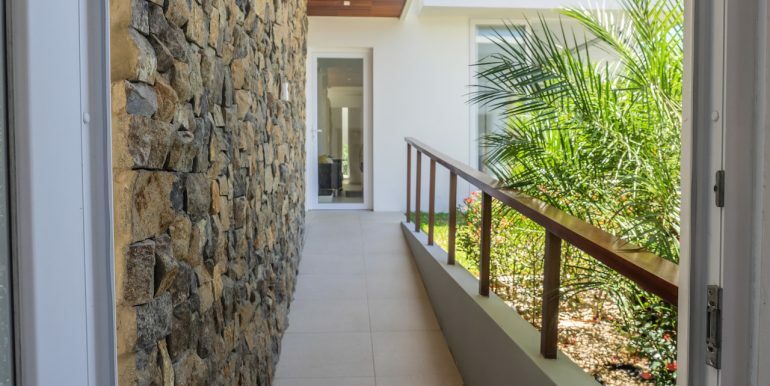 From here, a corridor leads to the 3 upstairs bedrooms. 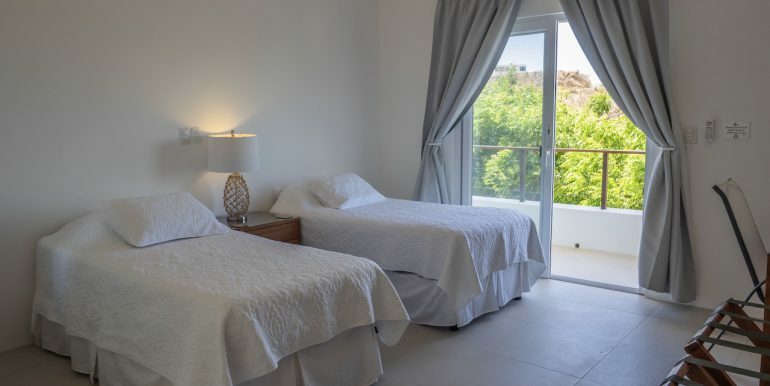 The first 2 bedrooms have 2 single beds each and share a full bathroom. 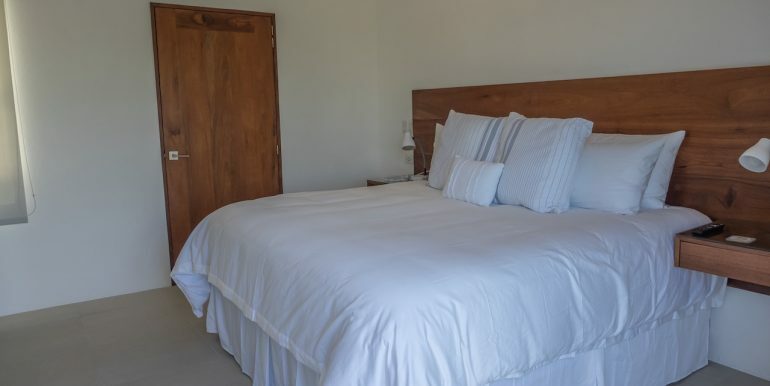 The third bedroom has a king size bed and an ensuite bathroom. 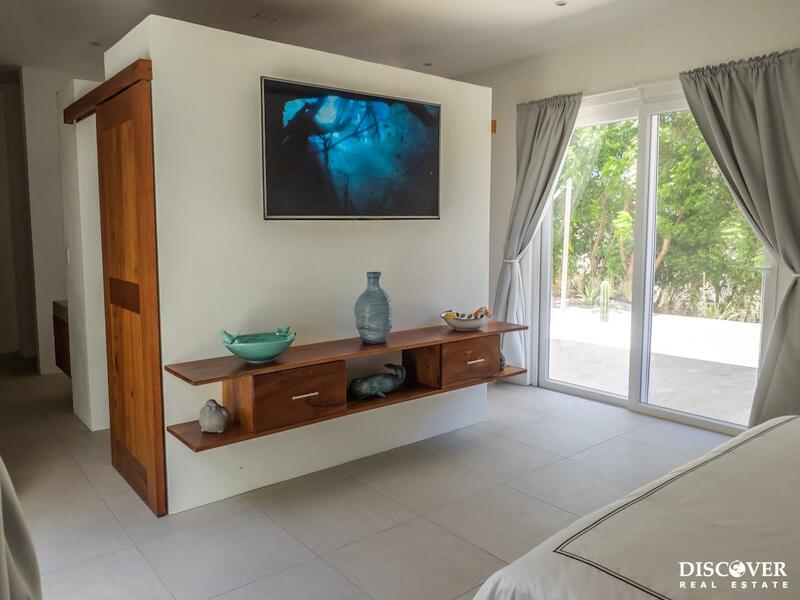 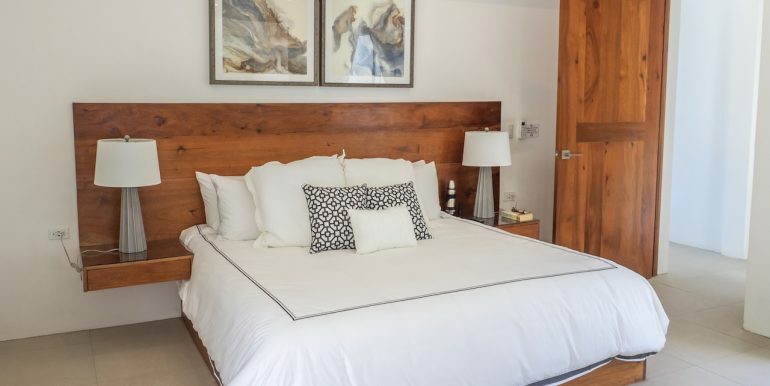 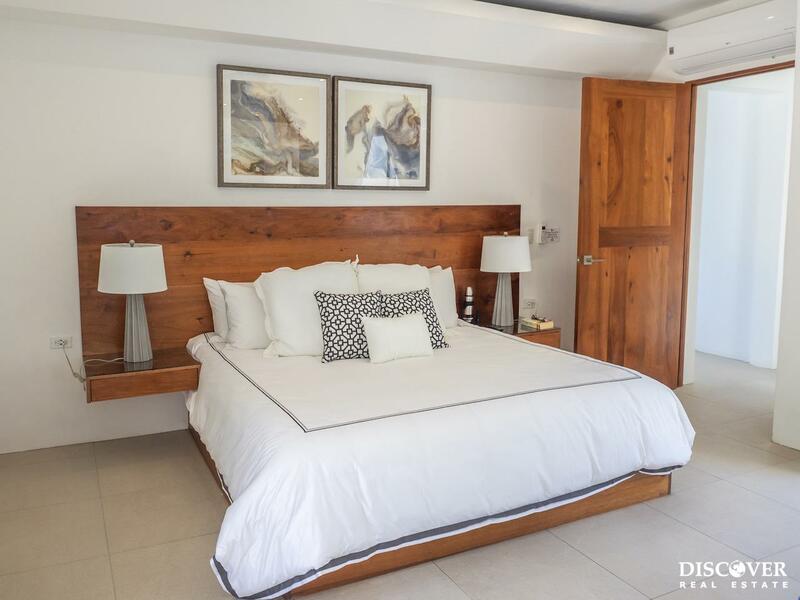 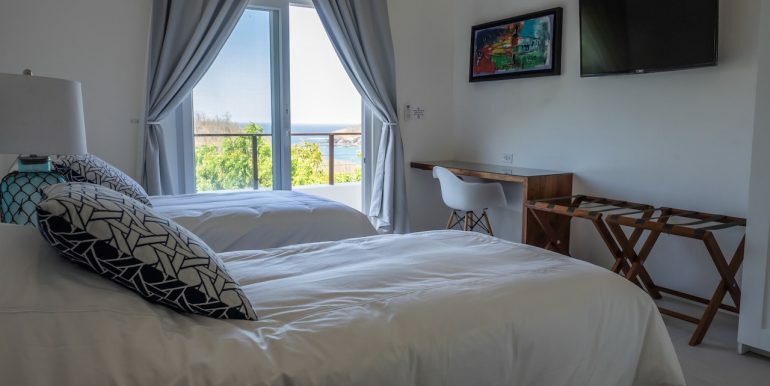 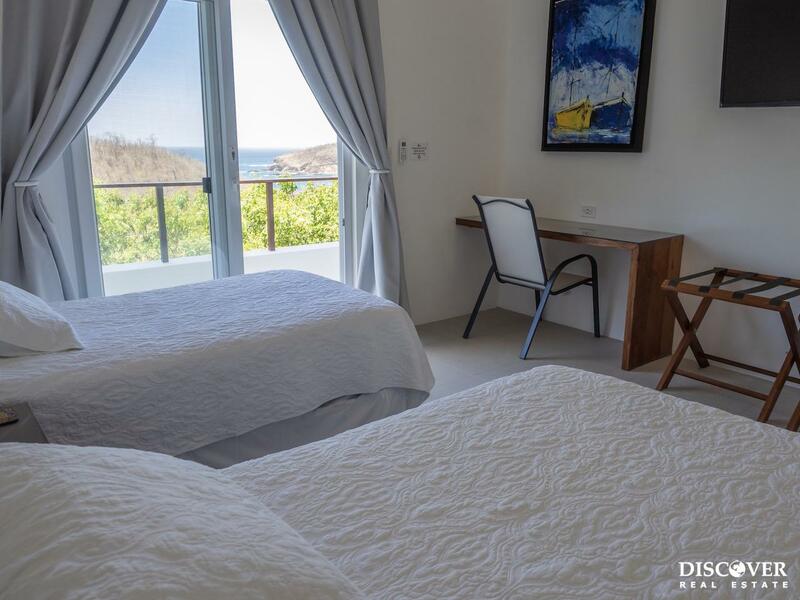 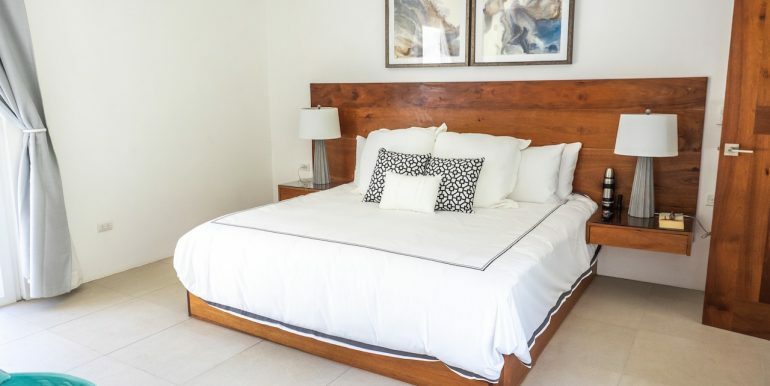 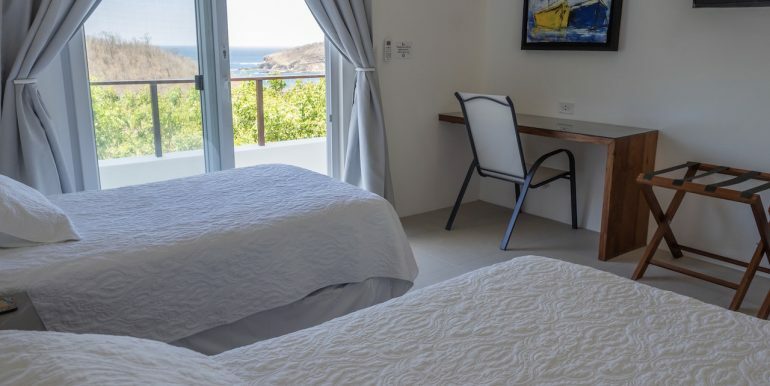 All of the bedrooms have floor to ceiling sliding glass doors, allowing residents to enjoy ocean views right from their bed. 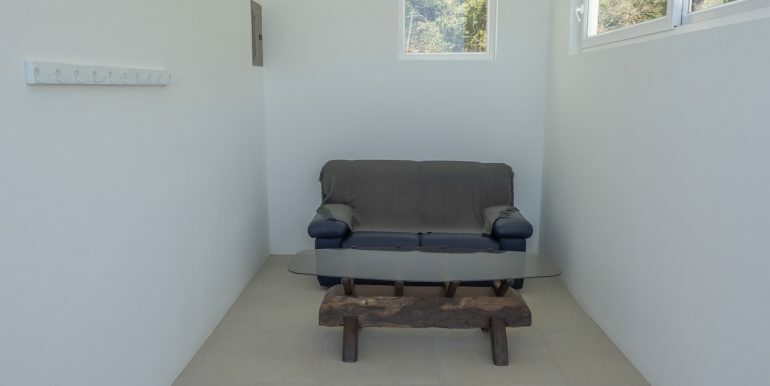 They also each have cable TV, closet space, good wifi signals, and small work desks. 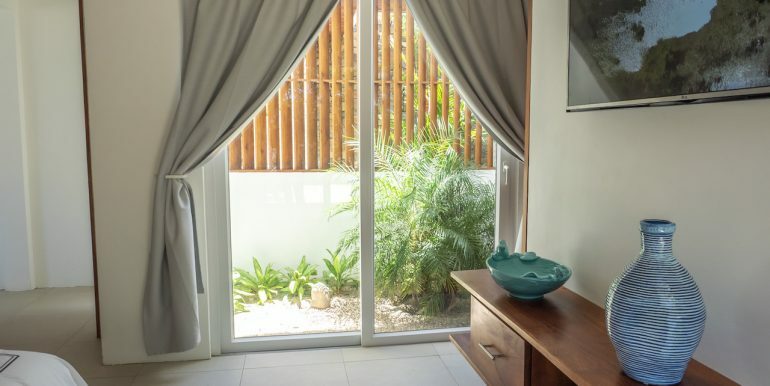 At the end of the corridor is a private nook with a small sofa, perfect for escaping to a quiet place to read a book, or setting up an exercise area. 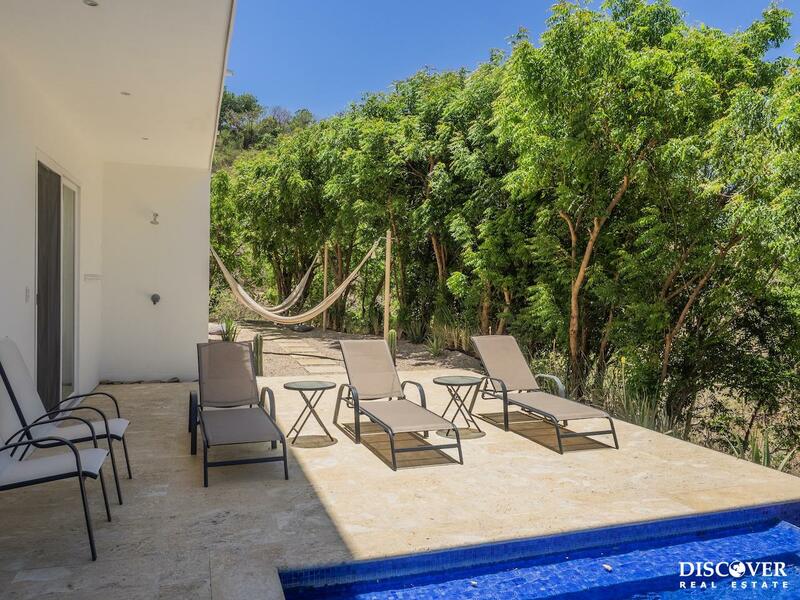 Outside there is a terrace covered with coral stones, chaise lounges and a beautiful hammock garden. 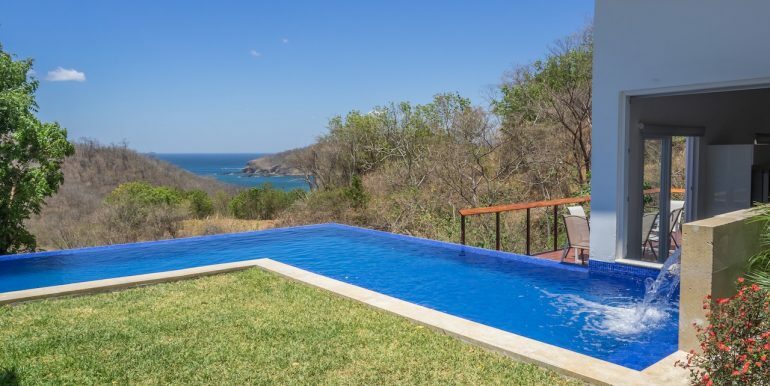 An L-shaped infinity pool with water cascades features an amazing view to the Pacific Ocean. 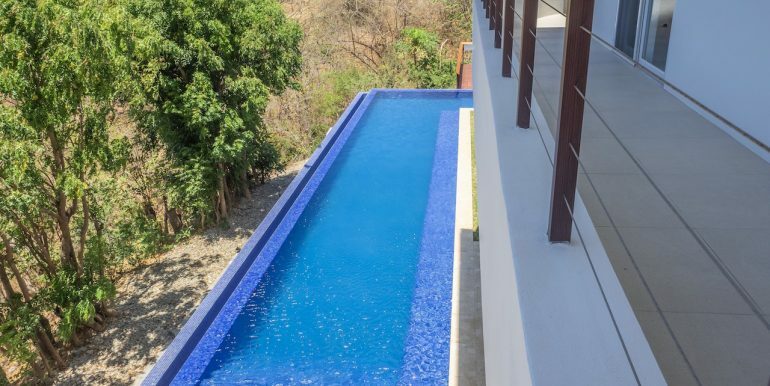 It is shallow enough to enjoy a relaxing dip, yet long enough to swim laps. 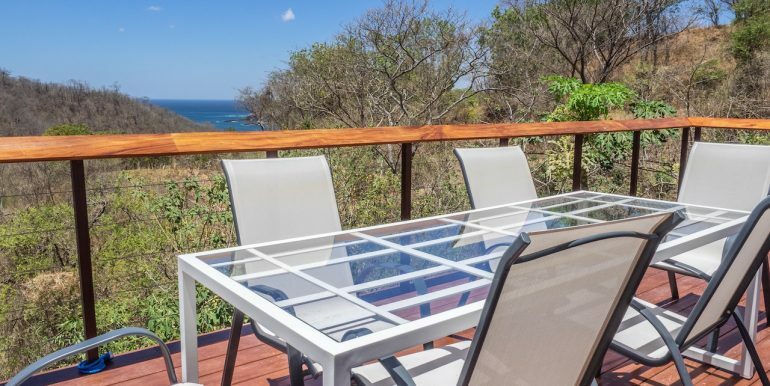 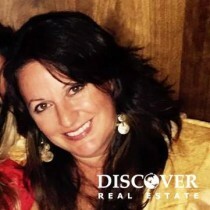 There is a wooden deck with an outside kitchen area, as well as an aluminum dining table for 8 people, and a BBQ. 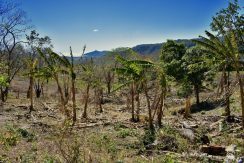 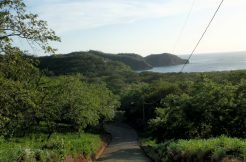 The surrounding garden has a large variety of fruit trees and coconut palms. 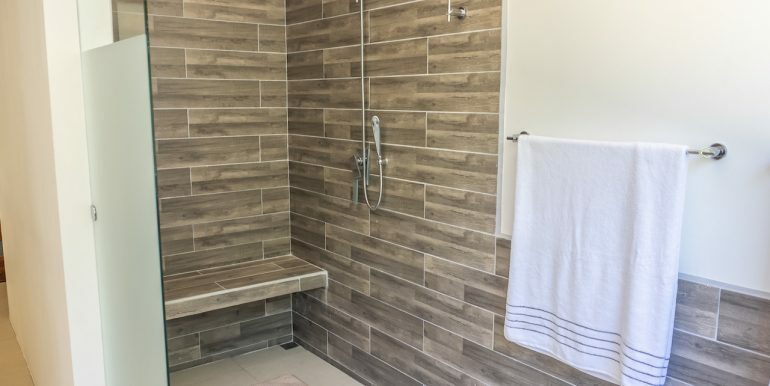 There is a storage room for the pool supplies as well as a pool equipment room. 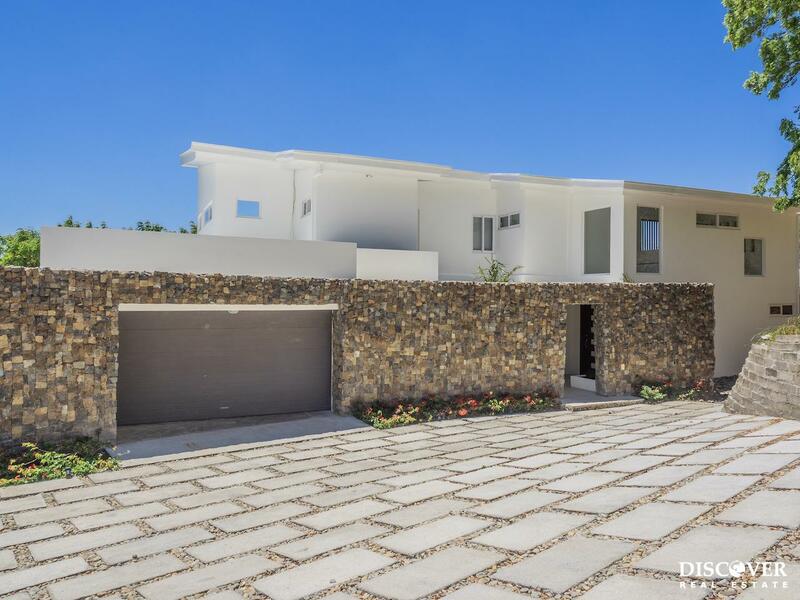 There is also a car garage for 2 vehicles. 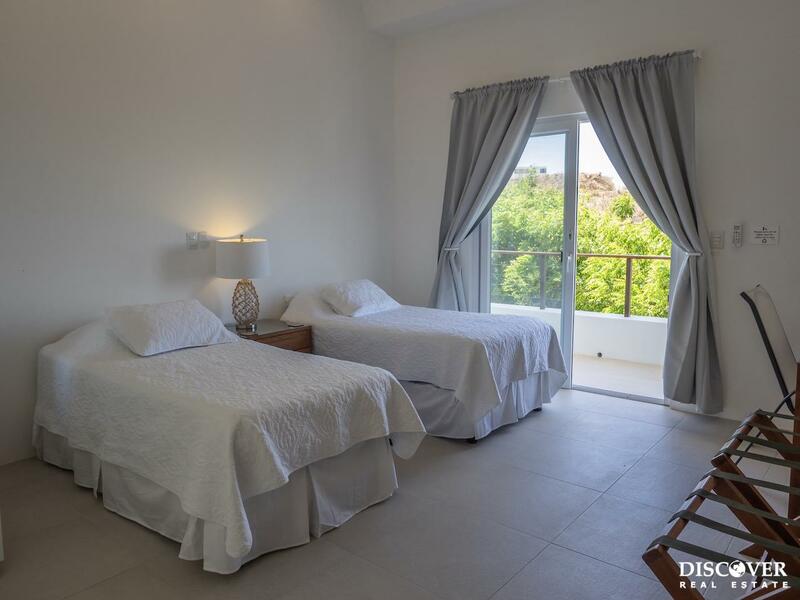 A private apartment is also on the property that would be ideal for a caretaker. 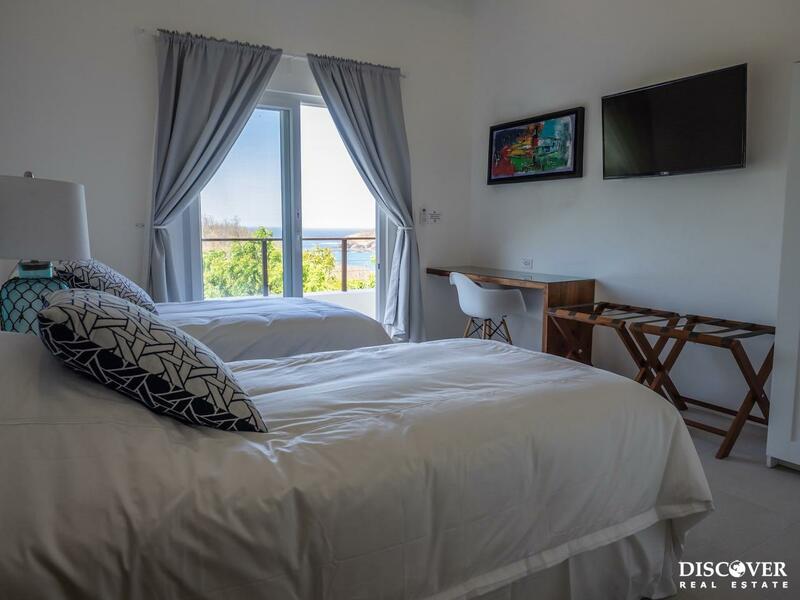 It has 1 bedroom, 1 double bunk bed, a full bathroom, kitchenette with kitchen and refrigerator, an outdoor area and a private garden. 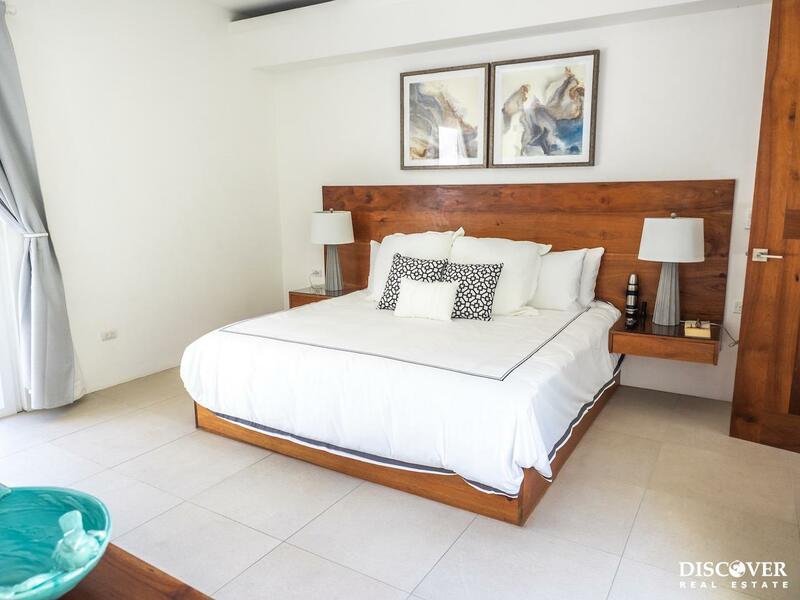 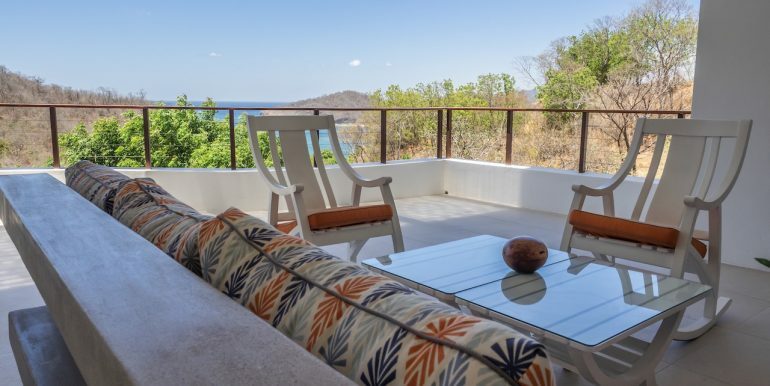 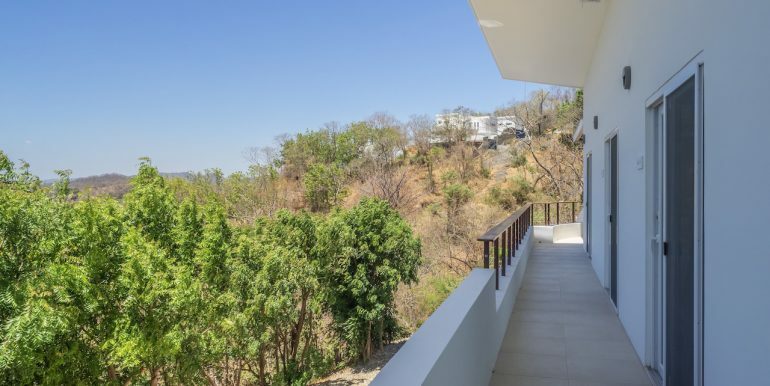 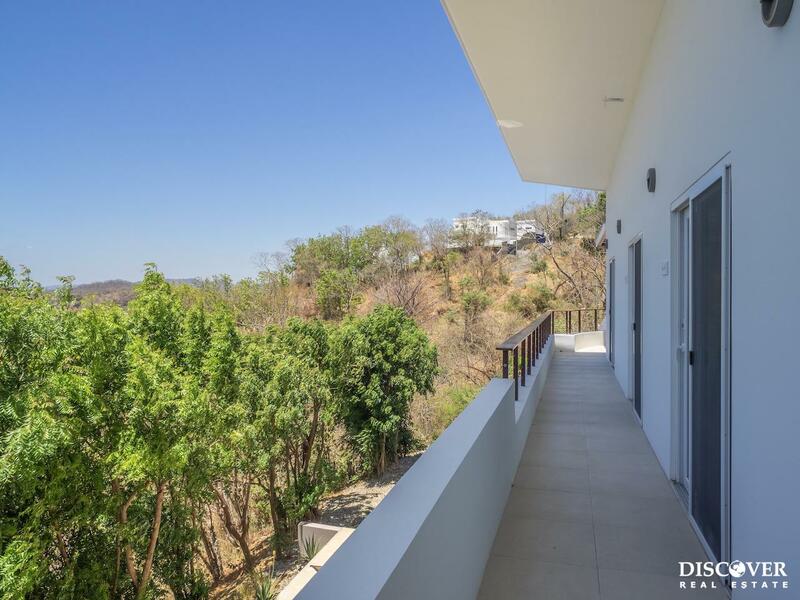 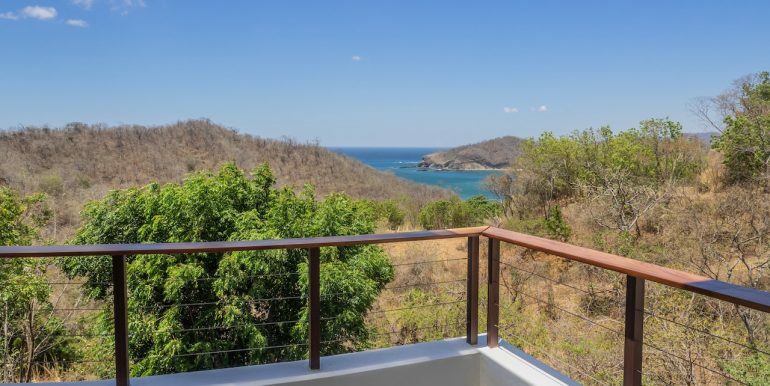 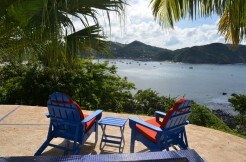 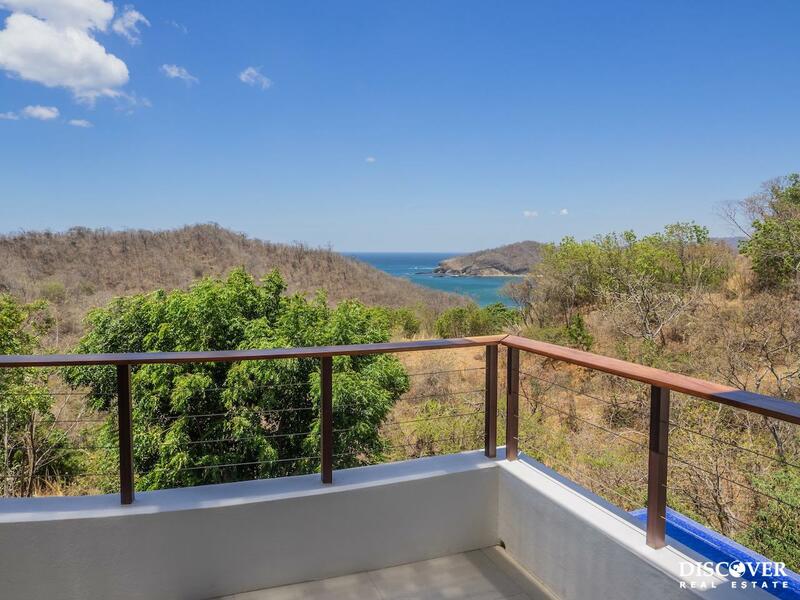 Pacific Marlin is a gated development overlooking the Pacific Ocean, the bay of San Juan del Sur, and Nacascolo Bay. 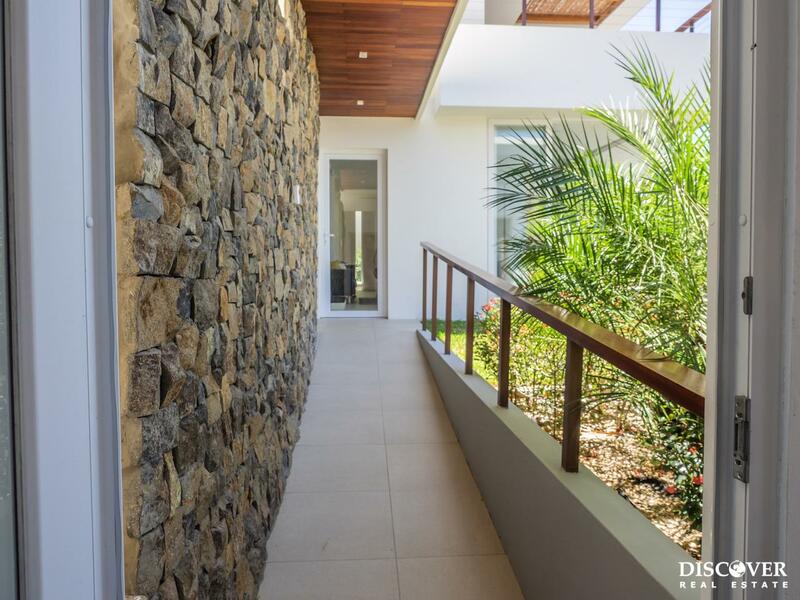 Contact Us today to find out more about this incredible, wheelchair accessible property.